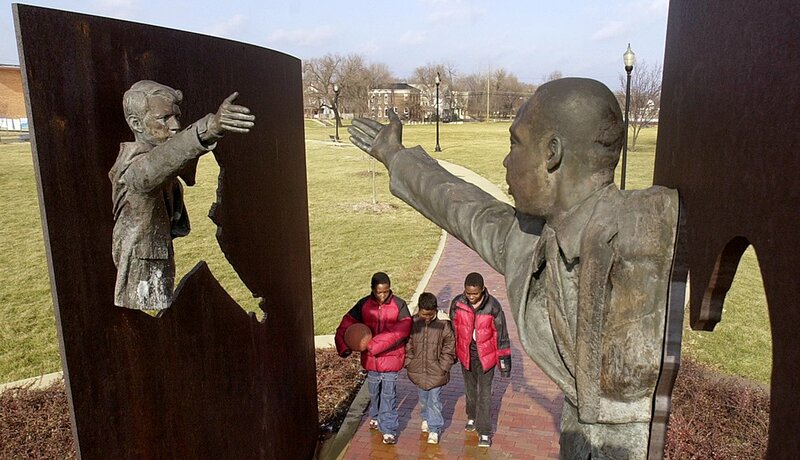 En español | Located in West Potomac Park, MLK’s National Memorial was unveiled in 2011. Dr. King is the first African American to be honored with a memorial along the National Mall, and only the fourth person who wasn’t a president to be remembered in such a way. 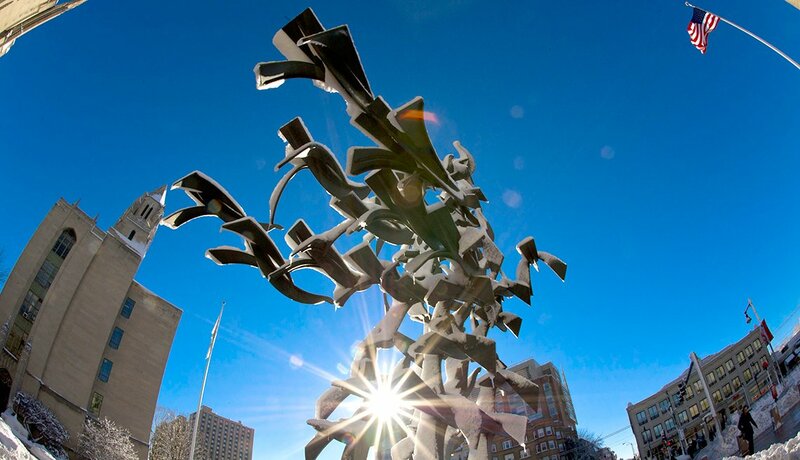 Built on the campus of Boston University is a sculpture of 50 doves. The art was inspired by words in King’s “I Have a Dream” speech. The upward-facing doves symbolize a rise in unity and peace in each of the 50 states. A monument at City Park documents key parts in the history of slavery, civil rights and King’s Nobel Peace Prize. 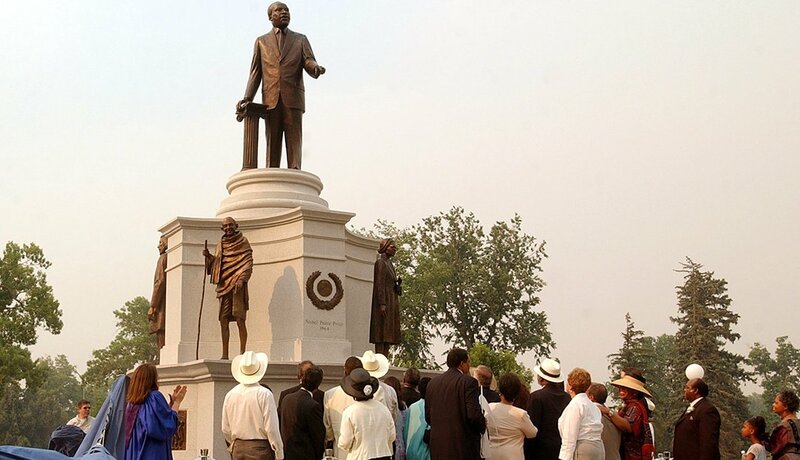 Surrounded by statues of other activists, King’s was strategically placed and is “standing on the shoulders” of Rosa Parks, Mahātmā Gandhi, Frederick Douglas and Sojourner Truth. 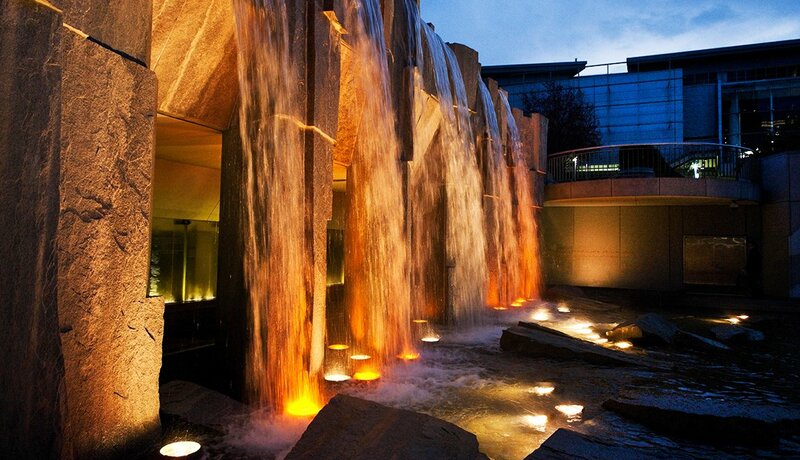 Water flows over 12 glass panels set in granite at Yerba Buena Gardens. Each panel is inscribed with memorable words from King. 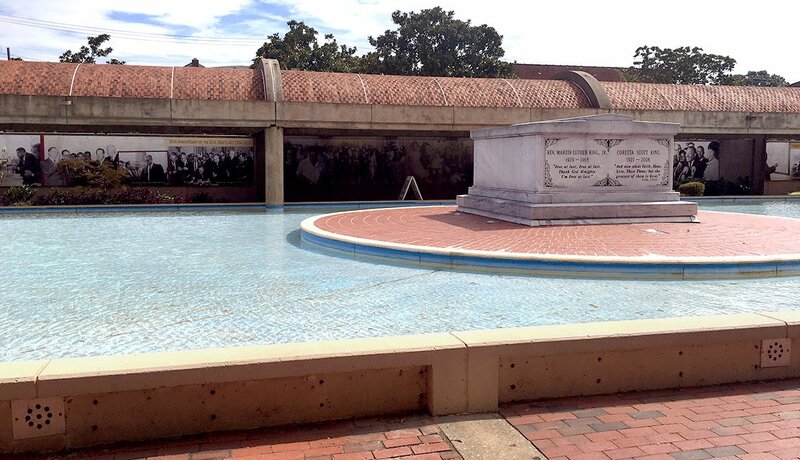 The memorial also includes etched images from his “I Have a Dream” speech during the March on Washington in 1963. Inside Dr. Martin Luther King Jr. Park, a sculpture honors the social activist and Robert Kennedy, both of whom were assassinated. Kennedy (left), a presidential candidate, gave a memorable speech at this park the night King (right) was slain. Kennedy was killed two months later. 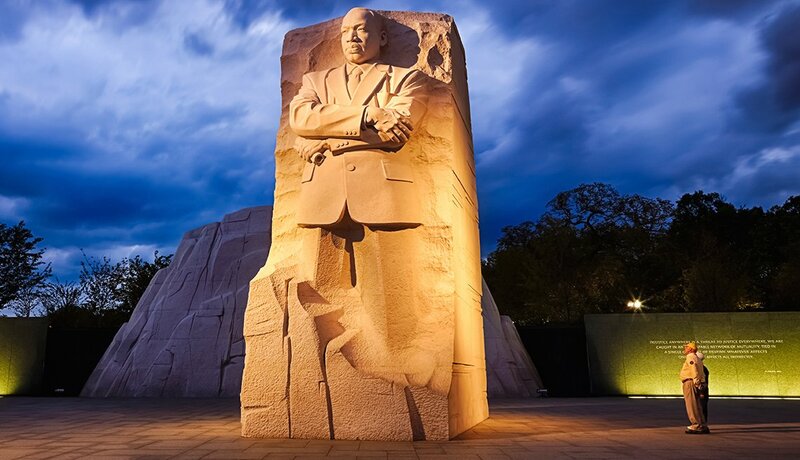 Inspired by King’s “I’ve Been to the Mountaintop” speech on the day before his assassination, a granite “mountain” sculpture now memorializes his work for civil rights. 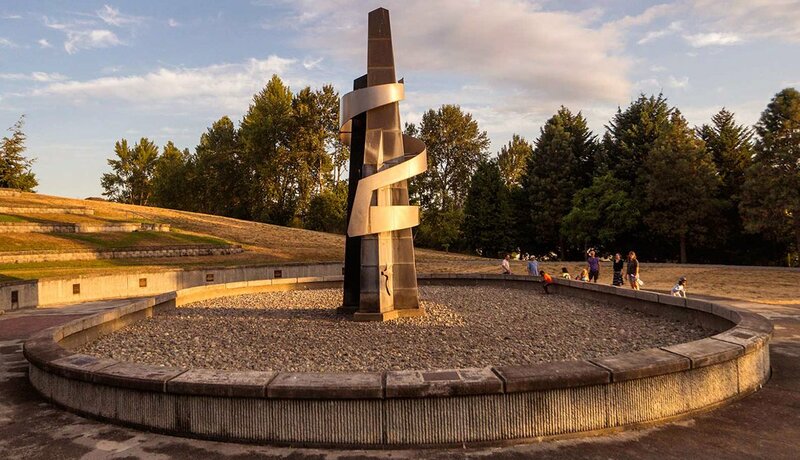 The 30-foot piece of art is located within the nearly five-acre Martin Luther King Jr. Memorial Park. A bronze statue sits on the East Mall at the University of Texas, Austin, in honor of the civil rights movement leader. 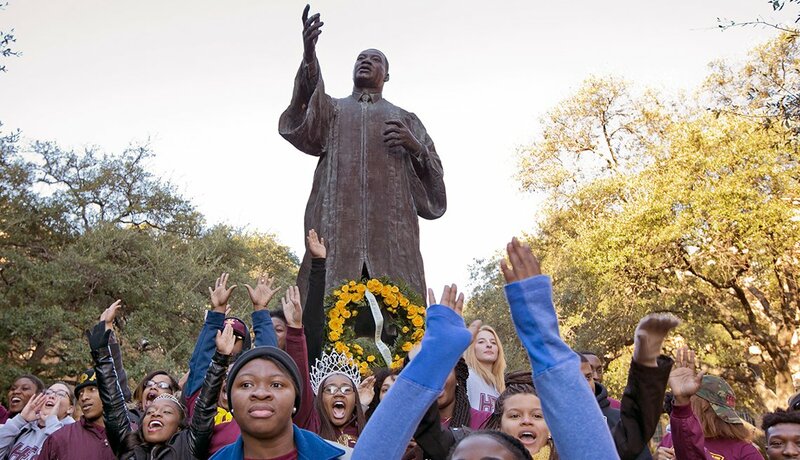 In the statue, King is wearing his doctoral robe, an appropriate choice for a college campus setting. 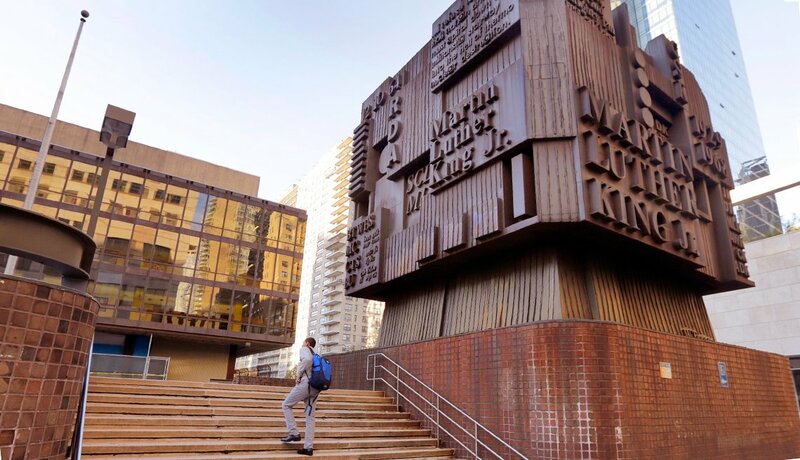 On the complex of Martin Luther King Jr. Educational Campus in New York is a unique steel piece of art featuring quotes and typography. The markings note key dates in King’s civil rights fight and initials of organization or people the Baptist minister was associated with in his quest for equality. 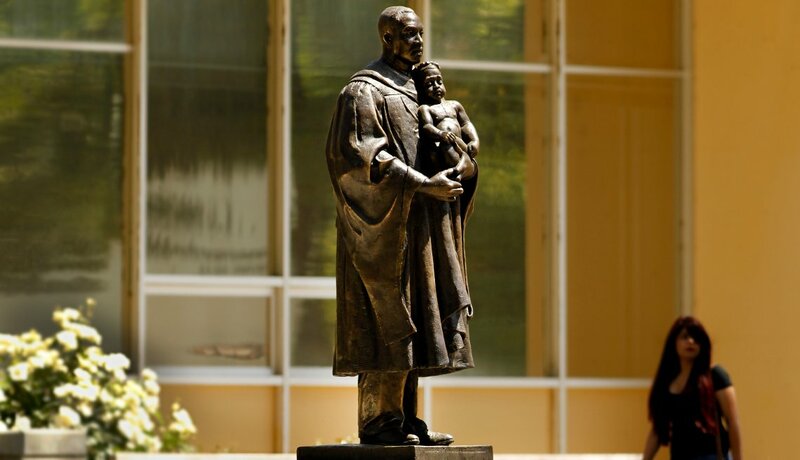 A statute of MLK in his ministerial robes and holding a child is symbolic at California State University, Fresno. Artists say it represents innocence and King's concern with future generations. It was unveiled on what would have been his 80th birthday. The Martin Luther King Jr. Center for Nonviolent Social Change is near King’s childhood home and was started by his widow Coretta Scott King. Beyond the iconic reflecting pool entrance is Dr. & Mrs. Kings Crypt, the Eternal Flame and many archives.